Hallo! 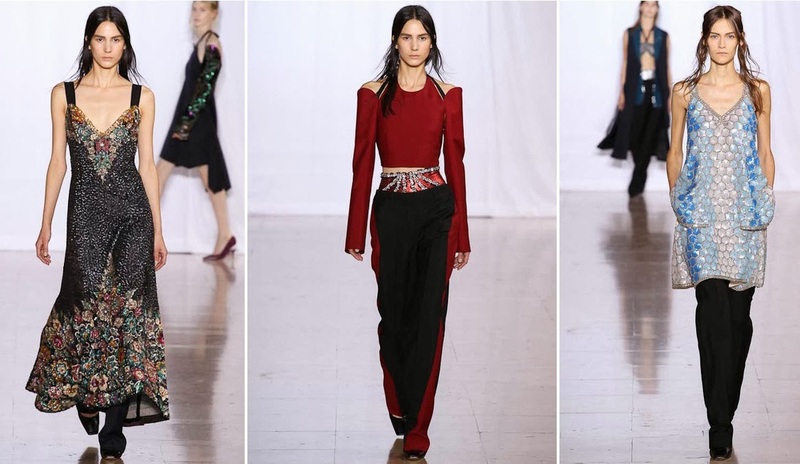 Another inspiration and now by Maison Martin Margiela Spring 2014 Ready to Wear. I am a big fan of sparkling outfits and that dresses are really so nice. In more fashion shows we can see a trend dress with pants. Hm. But I didn´t like it. And you? Ahoj! Ďalšia inšpirácia, teraz značky Maison Martin Margiela. Ide o kolekciu jar 2014 Ready to Wear. Som veľkou fanúšičkou ligotavých outfitov a tak ma hneď zaujali tieto šaty. Vo viacerých prehliadkach som si všimla trend - šaty a pod nimi nohavice. Mne sa to veľmi nepáči a neplánujem to ani nosiť. A vy? what a great collection, red is my favorite color! I really like the last outfit!!! I really like the deep red color!!! Great collection, love the touches of red! Love the second and last two outfits, stunning! Some reason more that I´m looking forward to Spring with great pleasure, awesome collection! Great collection, I love that deep shade of red! I loved this collection, I love his work and I am one of his biggest fans.